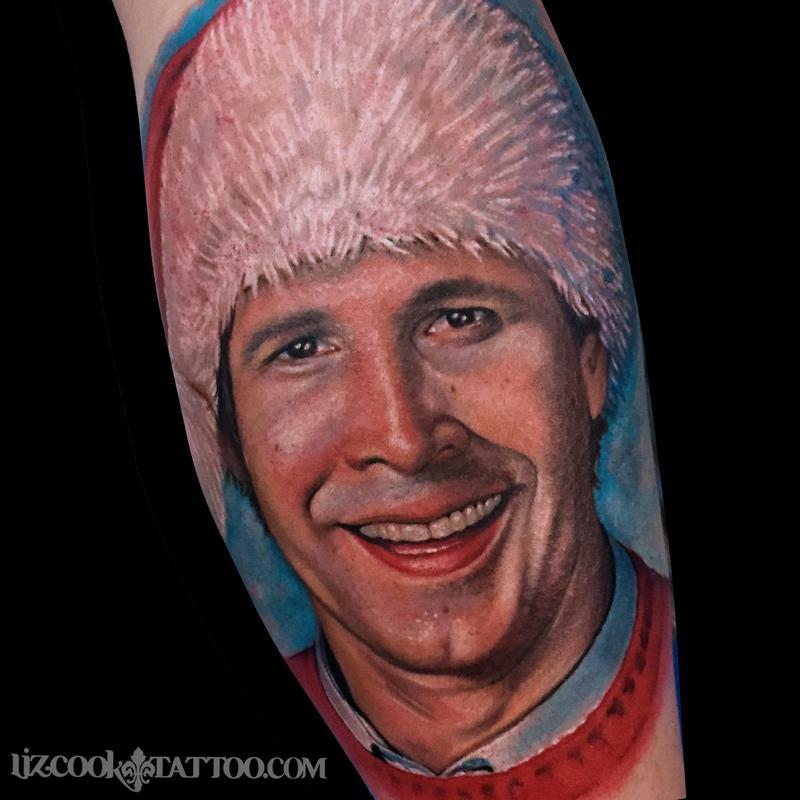 I love the National Lampoon movies so much it was awesome to be able to tattoo this Clark Griswold portriat. This was done at the Inked Hearts convention in Northern California. I've been doing that show for years and always have a great time up there!